When the last Trek series, Enterprise, ended in 2005, social media had just begun. (Facebook and Twitter were founded in 2004-2005). While the three J.J. Abrams films were a welcome change of pace and helped renew Trek, the return to television of Star Trek: Discovery is a reinvention. Barely one short season in, for better or worse, Discovery is publicized by the spread of internet discussion that no previous Trek ever has. 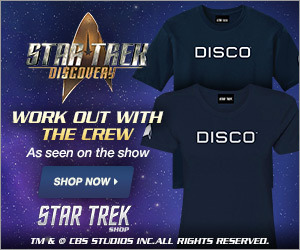 Discovery has a global reach that previous Trek movies and television series never had because of the internet and streaming. Trek production has always embraced new technology, moving from black and white, colour, widescreen, HD, BluRay and 3D—and now streaming globally, breaking out of the limitations of network television and theatrical distribution. Reading all the online discussion and articles written about Discovery might lead one to believe that Trek is split between adopters and haters. Instead, it’s more about reactions from a minority who refuse to accept the reality of what Trek has always been. Trek and our culture have radically changed since 2004. Removing the boundaries and limitations imposed by network advertisers and distribution, Discovery is now telling stories and addressing issues in sometimes uncomfortable and graphic ways. Trek has always been about reflecting current issues and attitudes; formerly it had to be done in usually sanitized, subtle, polite ways. Not anymore. While our real cultures have become more conflicted, less honest, unethical, unscrupulous, more abusive, combative and confrontational, thankfully we’re responding by being more outspoken and pushing back against those negative influences. Most people can use the free speech of the internet to protest (or advance) unjust causes. More people can use the media to call out unfair and illegal behaviour. More people are standing up for what they believe. But this kind of freedom goes both ways, as both good and bad causes can be equally promoted and spread. There’s a vocal minority complaining about and criticizing Discovery. It’s not what they expected from Trek; it’s too different, too changed, and shows things they’d rather not know about. Which is very interesting, because those are the same things going on in our society. Some don’t want change, don’t want immigrants, don’t want to see gay relationships and so on. Rising conservatism, discrimination and xenophobia are old tropes, whether advocated by fascists, Nazis, Trumps or North Koreans. That vocal minority doesn’t want to see female and/or non-white lead characters; doesn’t want their aliens any different than they’re used to; and still thinks gay characters should be seen and not heard. The world isn’t like that anymore, and thankfully neither is Trek. Discovery knows all these things all to well and has one of the most diverse casts, writers and production staff of any Trek, ever. The hot-button issues of yesterday’s Trek—communism and racial tensions—has been replaced with today’s issues—new alien or foreign threats and the spread of global diversity. That vocal minority would have you believe there should be a wall separating their version of Trek from that of a newer, more progressive and realistic Star Trek Discovery. That’s nothing new either, as Trek has always sought to be progressive, controversial and to address current issues. Klingons are not only metaphors for oppression and communism; they’re now also metaphors for the spread and integration of less understood and feared cultures going on right now across the world. Relationships between Federation races, human and non-human, are now also metaphors for the spread of global diversity, human, gender and sexual rights. 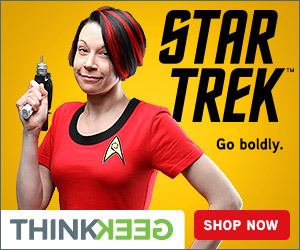 So, dear Star Trek fans, the world has changed, even in the short lifetimes of younger fans. It shouldn’t be news to anyone that the onscreen portrayals of Trek have always itself been continuously changing and reflecting the human change in the real world. Believing otherwise misses the whole point of Star Trek: that going boldly where no one has gone before includes assuming nothing, changing or dying, questioning everything, trusting no one, including yourself, and keeping an open mind. Who are you really? What do you stand for? How will you react and behave in response to a radically changing environment? 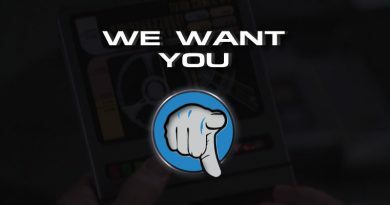 Are you more like the Federation, Terran Empire or something in between? Which universe do you choose to live by? Are you more Captain or Emperor Georgiou? Who is the best version of yourself you can be? Those questions are the heart and soul of Star Trek, and Discovery is asking its characters and audience to confront those issues and come along for the ride. ← Did Lorca Always Have An Expiration Date?